Meals are a great time to bring the family together, and pizza is the perfect food for any family. The perfect blend of sauce and cheese takes parents back to their youth, mom gets a break from cooking, and kids get a kick out of choosing their own toppings to create a culinary masterpiece. 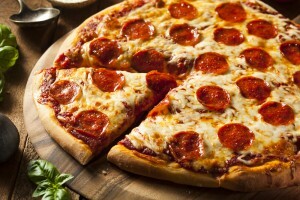 Pizza is the favorite food of many Americans, and families that are looking for a meal that is appropriate for the entire family can always count on delicious mozzarella, beautiful tomato sauce, and a wide collection of toppings to deliver satisfaction. Whether you are looking to add a little bit of variety to your weekly menu or you need to feed a group of hungry kids who are gathered for a birthday party, pizza is the right choice for Las Vegas families. It is a delicious treat that is fun for the entire family. Parents can take a walk down memory lane whenever they order a pizza. Choosing certain toppings may take a parent back in time and remind them of certain flavor combinations they loved when they were little. Whether it is pineapple, olives or pepperoni, creating your own signature pizza is an activity that is always fun. When you eat the best pizza in Las Vegas, mom does not have to worry about cooking dinner that evening. This allows her to thoroughly enjoy the time spent with the family as they gather around and share slices of Las Vegas’ top pizza together. Children love pizza since they have some input on the pie’s toppings. Adding toppings to a pizza not only improves the flavor of the pizza, but it also allows a child to experiment with their food. While some love plain cheese pizza, many love the delicious taste of sausage, bacon and other toppings. Picking the toppings is a rite of passage for kids who are looking to have more say in the family.